Do you ever look to make simple cards using a few techniques? Well here you have it. The cards themselves were pretty easy to put together and I paired the masking technique with heat embossing for a quick card. Here are the finished cards using Pixie, Glacier, Flaxen, Thistle and Autumn Terracotta inks. 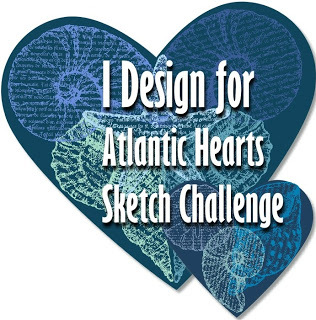 I used the CTMH Doodled Designs, You Mean The World to Me and Distressed Backgrounds stamp sets. You want to make sure you have cards and envelopes. 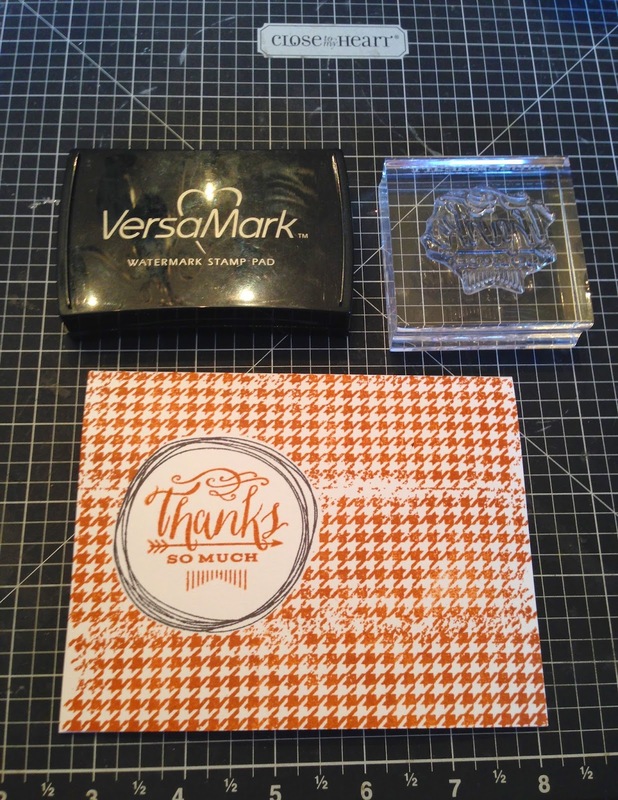 You will also need VersaMark, a heating tool and embossing powder. 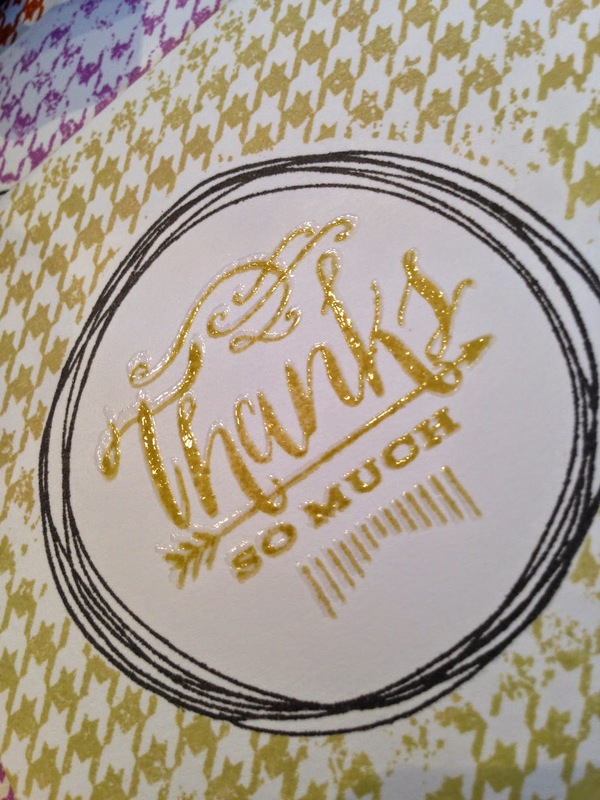 I used Ranger clear embossing powder to allow the stamped color of the sentiment to pop. Make sure you have a piece of scrap paper or a post it note available ( I used a post it note for my mask). 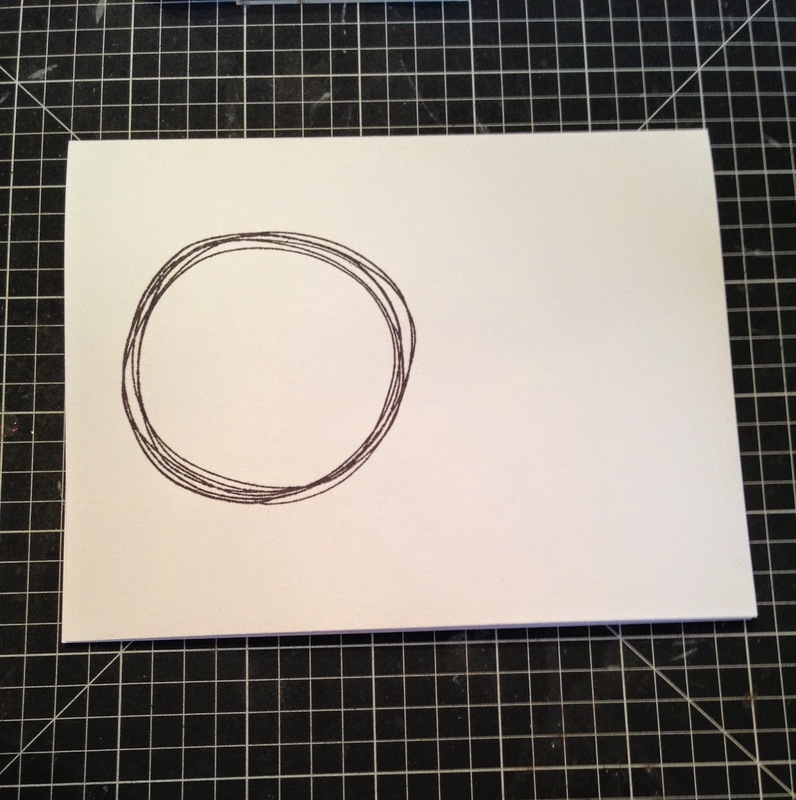 Step 1: I stamped my image on the card with black ink. 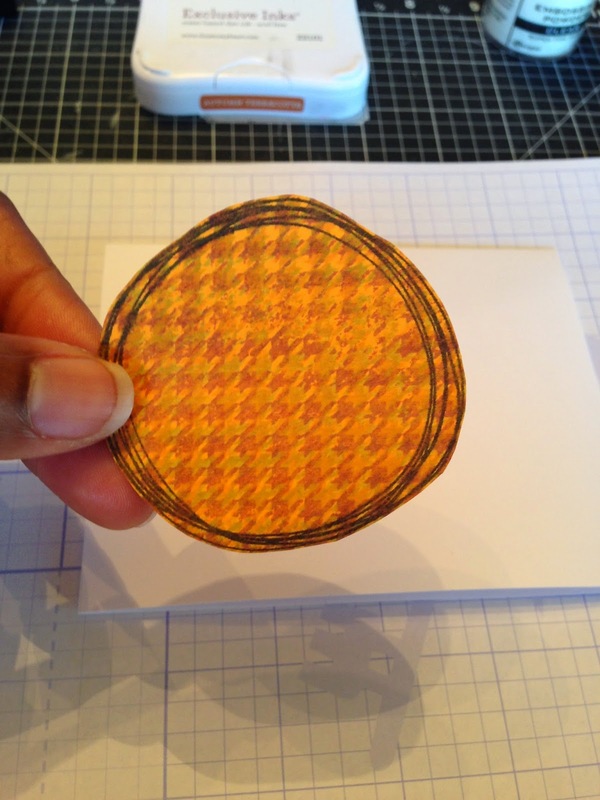 Step 2: I took a post it note, stamped my image and fussy cut it out using my non-stick micro tip scissors. I used this as my mask. Step 3: Position the mask over the image you originally stamped in step 1. The sticky portion of the post it note holds the mask in place. 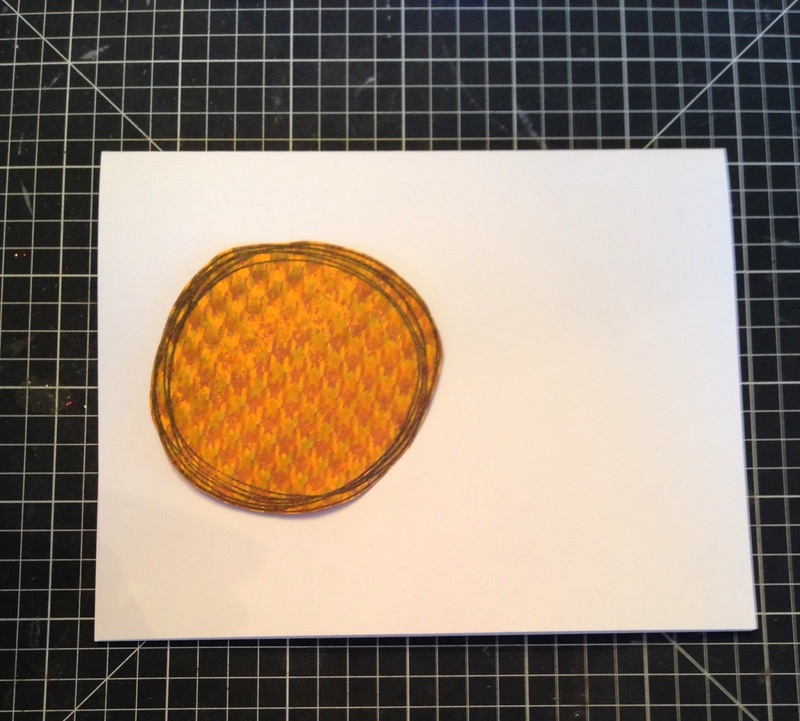 If your post it note doesn't have sticky you can use reposition able adhesive. Step 4: I placed my stamp on the acrylic block, inked it up with Autumn Terricotta ink and stamped down the card and directly over the mask. 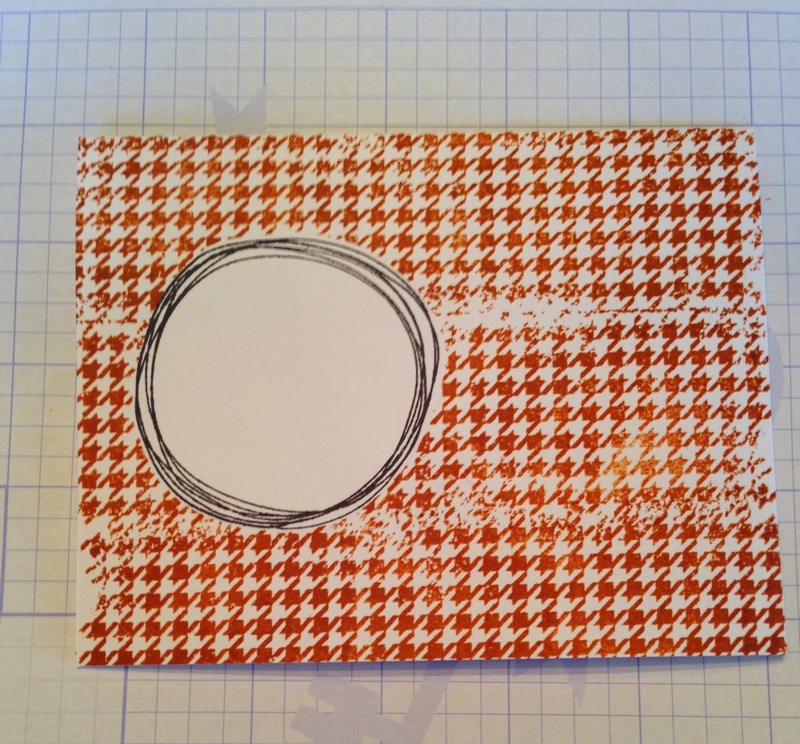 This is how the card looked once all my stamping was complete. Step 5: Remove the post it note mask. Having the mask allowed me to have a blank, white spot to stamp my sentiment even though I stamped the background image across the entire card. 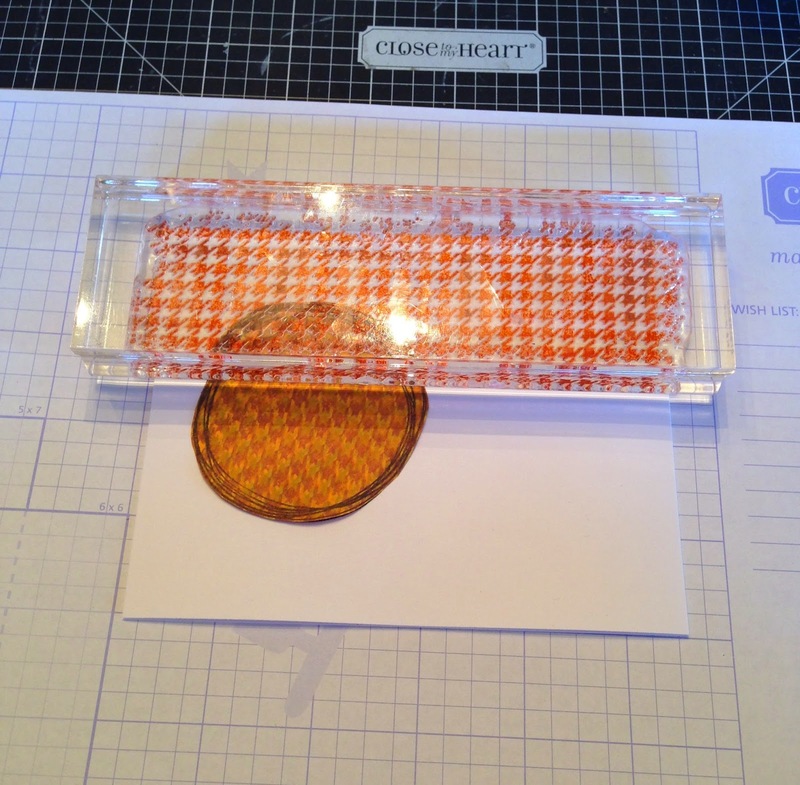 Step 6: I placed my sentiment stamp on the acrylic block and stamped in the area I previously masked. 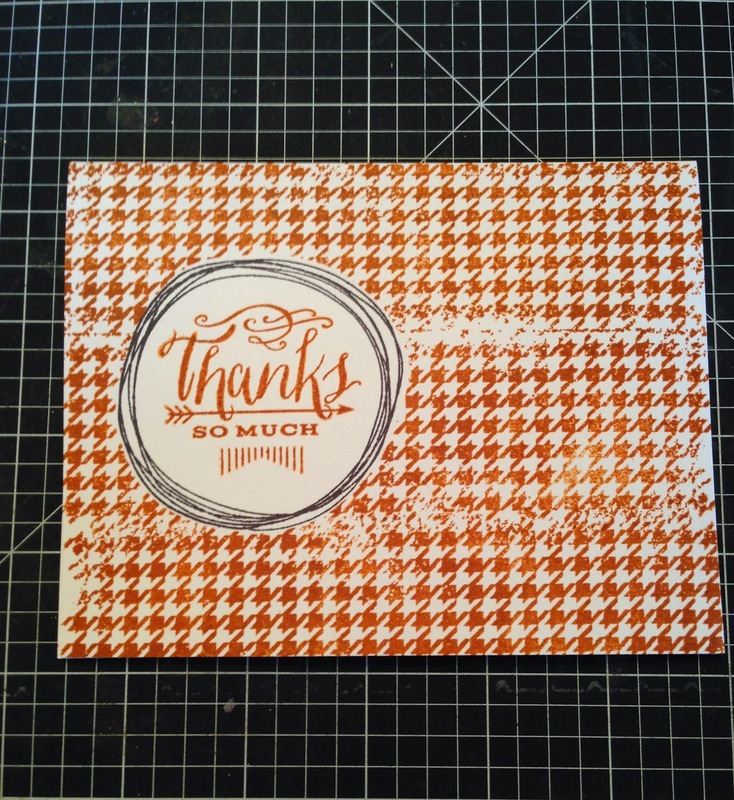 Here is the card after the initial stamping was complete. 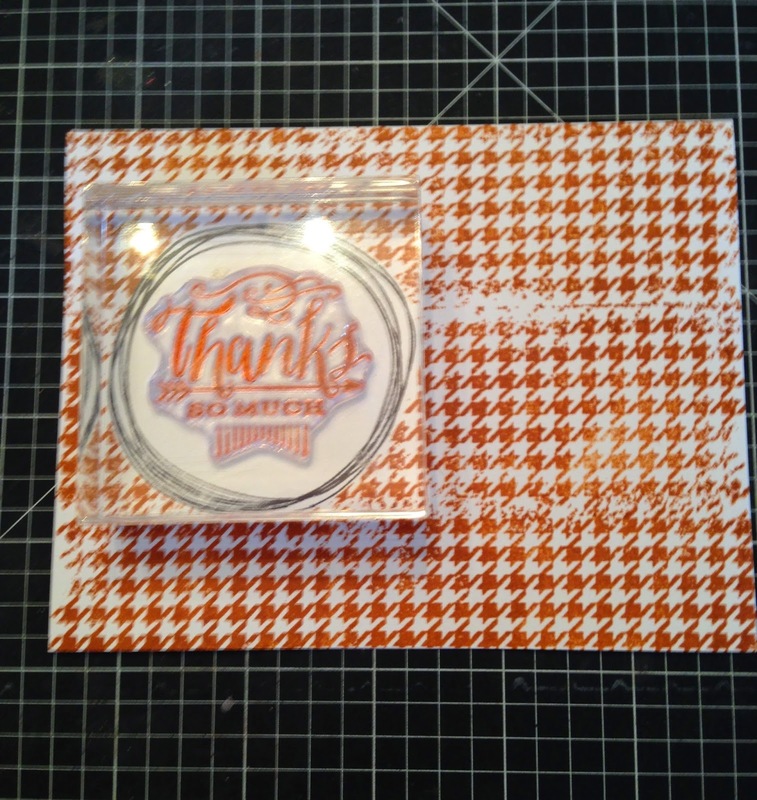 I thought I needed some flair so I decided to heat emboss the sentiment with clear embossing powder. 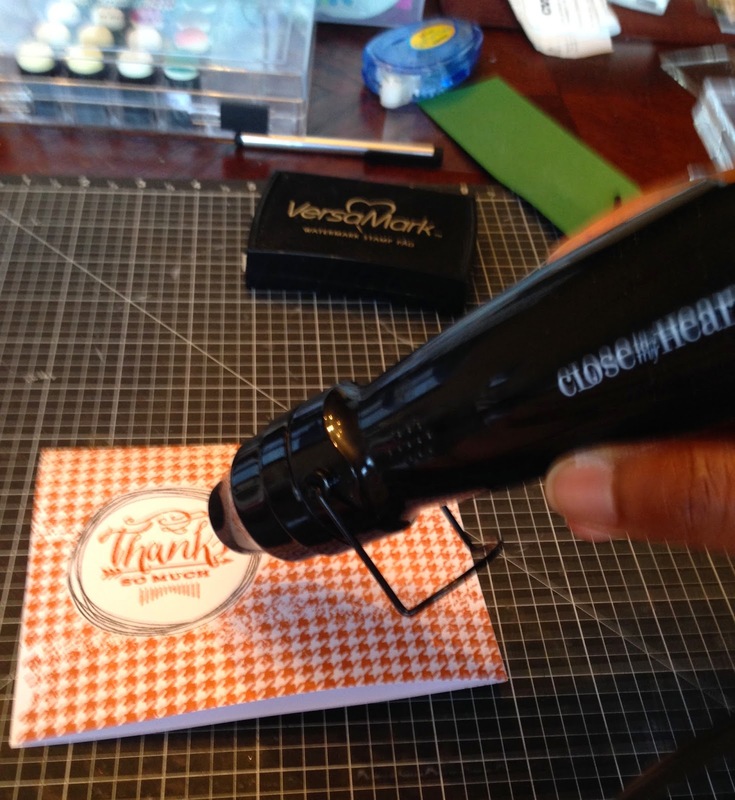 How fun is clear embossing powder? Don't have all the colored embossing powder that is quite alright!! 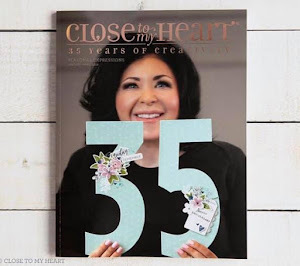 Use clear embossing powder to make your colored stamped image pop! 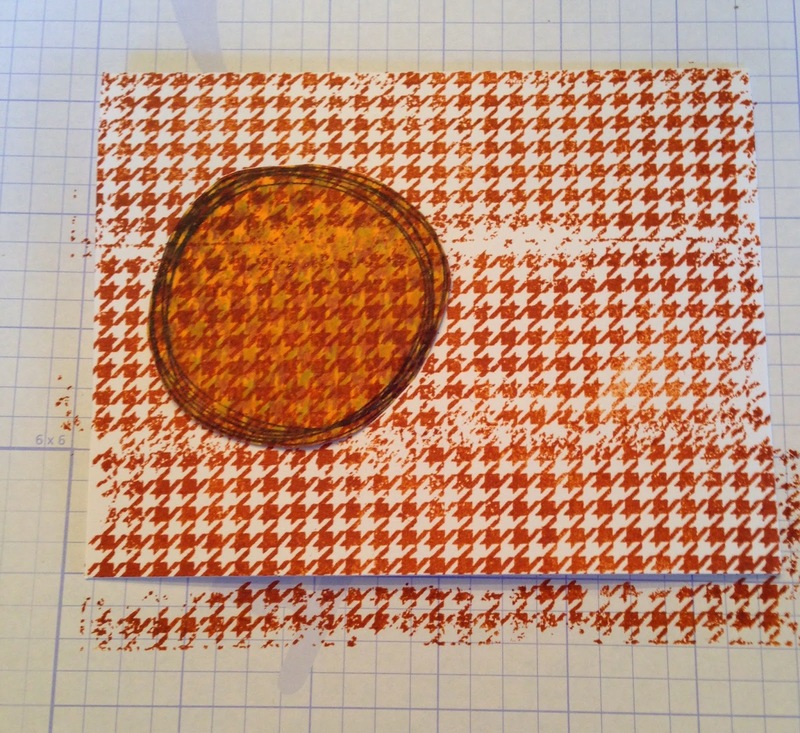 Step 7: I grabbed my sentiment stamp and pressed it on the VersaMark pad making sure to get even coverage on the stamp. 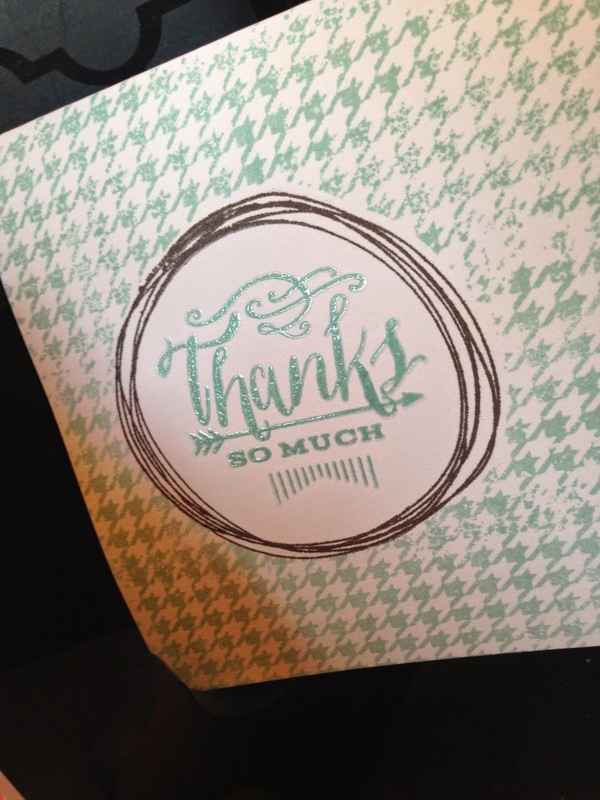 I then stamped the sentiment directly on top of the colored sentiment I previously stamped! 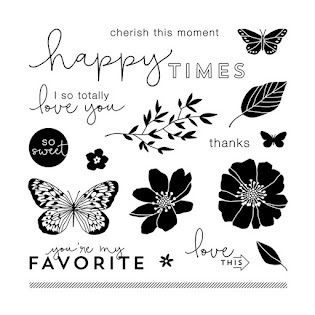 That is the beauty of CTMH clear stamps and acrylic blocks you can see where you are going to position the sentiment and line it up perfectly!! 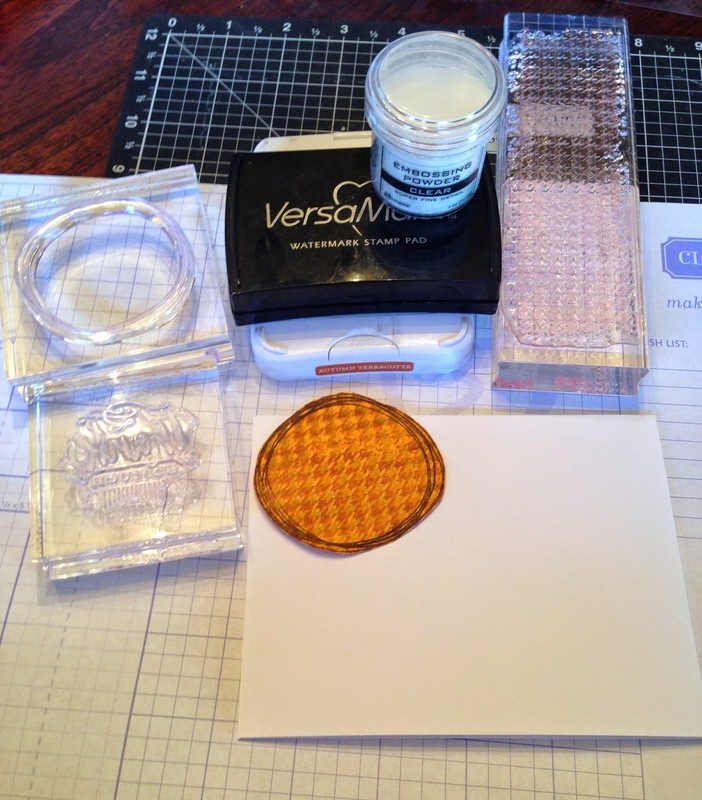 Step 8: I took my clear embossing powder and liberally poured it over the wet Versamark stamped sentiment. I tapped off the excess powder into the lid and put it back in the container. You can use it over and over again!! 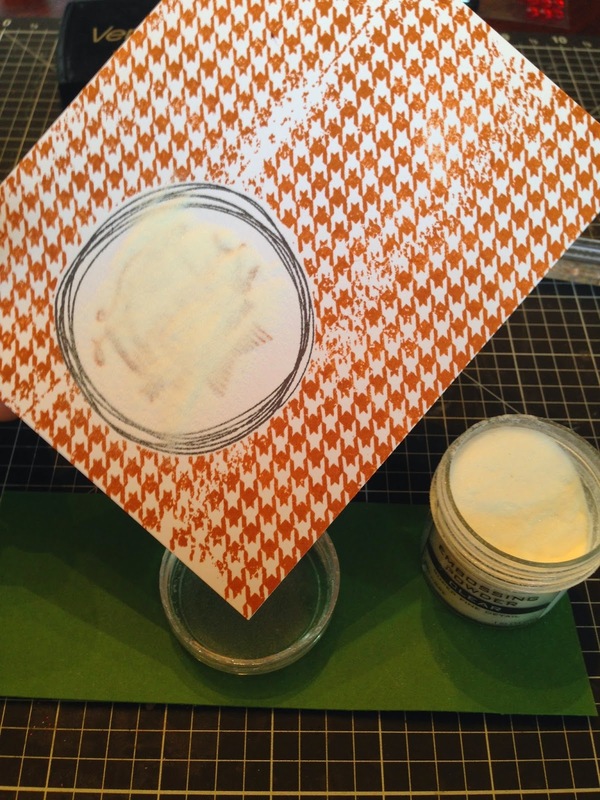 Step 9: I turned on my heating tool and waved it over the embossed sentiment until I saw the powder change to a pretty glossed image. Be careful!! Move around the heating tool so you do not burn the paper. Here you have it...check out these up close pics that show off the embossing! Great tutorial. I like that doodles stamp.